Today is the official release date for Canyons of Night by Jayne Castle. This book is the latest in the Harmony and the Arcane Society series. I’m excited about this latest book, because I really love the heroes and heroines in Jayne Castle’s futuristic/paranormal books. If you’re a fan, you’re probably as excited about the new book too. Well, it’s finally here for all of us to enjoy. I mentioned this book previously, so click here for more about Canyons of Night. Ghost Story by Jim Butcher is the thirteenth book of his popular Dresden Files series involving wizard detective Harry Dresden. Penguin Audiobooks put together this audio book and it’s read by John Glover. At 17 hours and 52 minutes long unabridged, there’s plenty of story to keep you interested. I haven’t quite caught up with the series yet, so I haven’t bought a copy. James Marsters narrated the other books in the Dresden Files series, but not this one. However, John Glover has a great voice and I could see it working for this story. The sample audio sounds great but I have to admit, I’m a fan of Glover as an actor. Some listeners didn’t like the switch and gave the book a low rating because of it; however, Glover is an accomplished narrator and most of those ratings are because the listeners couldn’t imagine Harry as anyone other than Marsters. If you can overlook that, then don’t miss this book. If you’re a fan, you’ll want it because it resolves a certain cliffhanger ending found in book 12. Purchase the Ghost Story audio download at a discount if you sign up for one of the audiobook plans at Audible, or buy Ghost Story as an individual purchase. The link above works for either choice. Either way, you can get the Ghost Story audio book cheap. The new novel in the #1 New York Times best-selling Dresden Files series from Jim Butcher. When we last left the mighty wizard detective Harry Dresden, he wasn’t doing well. In fact, he had been murdered by an unknown assassin. But being dead doesn’t stop him when his friends are in danger. Except now he has no body and no magic to help him. And there are also several dark spirits roaming the Chicago shadows who owe Harry some payback of their own. To save his friends – and his own soul – Harry will have to pull off the ultimate trick without any magic…. If you scroll down on the page at Audible, you can listen to the entire first chapter of Ghost Story. 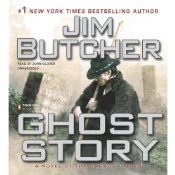 You can also find out more about Ghost Story at Jim Butcher’s website page for the book but there isn’t a link to buy the Ghost Story audiobook. 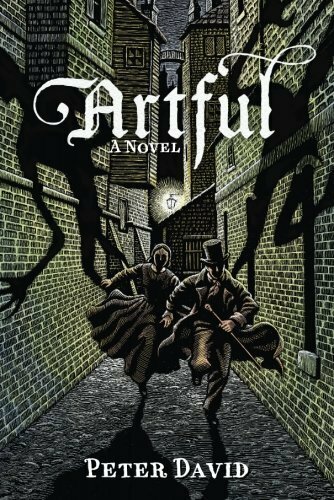 These hardcover bargain books are a perfect way to build up your home library. The links are grouped by book price. Check out any of these links to see the newest hardcover bargains. There are a couple of really great books in this category right now. Although the available books will likely change as time passes, currently you can find hardcover books by Iris Johansen, Mercedes Lackey, Margaret Weis, Joe Haldeman, and S. M. Stirling for $5 or less. Check out any of these links to see all the great books available in hardback at cheap prices that make it easy to build up a good selection of books in your personal library. Library building is a passion of mine and getting books at such low prices always makes me feel good about buying books to fill my shelves.